As artists, singers pour their experiences into their music. Gospel singer Shavonne Na’tey is no different. 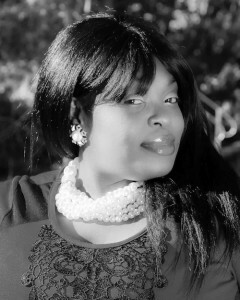 Her brand new single, “So Amazing”, released by Lottie St. Entertainment, was inspired by a hurtful church experience. The track, relatable to anyone who has been disappointed and felt the hand of God pull them out of a difficult situation, “So Amazing” is the latest song from the very talented inspirational songstress. Known for opening up for Gospel greats Rance Allen and Tamela Mann and as the niece of Gap Band member, Oliver Scott, Shavonne Na’tey is well on her way to making “So Amazing” one of her most popular hits. The song is currently available on iTunes, Amazon and other digital music outlets. “So Amazing” relays hurting experiences that happened to Shavonne Na’tey at a former church. Rejected and ostracized, she was continually mistreated and abused. Ultimately, she left the congregation. In “So Amazing”, she explains how she rose above the negativity and how God gave her the grace to come out on top. Lyrics like these highlight her experiences: “They had time to apologize, yes they had time to dry my eyes, but they let pride reside letting their egos rise so I let God’s love reside…”. The soulful, beat-driven track flaunts Shavonne Na’tey’s emotive voice and her ability to take the listener wherever she leads. Unfortunately, her former church was not the only place she encountered abuse. “I was engaged in a relationship with someone in the church,” she recalls. “He was manipulative and verbally abusive, the type of person who would lift you up and then tear you down. But I stayed because I longed for love and acceptance. I am thankful for the prayers of my mother. Her prayers brought me out of the situation.” Now those abusive experiences are in her past and she learned a few things during the experiences. It was the deliverance from those situations that encouraged Director Sophia Strother to tap Shavonne Na’tey as one of the women who recounts their stories of abuse or domestic violence in her docu-series called “Our Journey Alive” (below). The series celebrates women who overcame, and through it, Strother hopes to inspire others who are currently in abusive situations. Shavonne Na’tey says, “Since that situation, I have moved beyond it. I have a husband now who treats me like a queen. As a matter of fact, my husband, Pastor Dexter Beck and I have started our own ministries.” Their ministry is called Kingdom Culture Ministries. The goal is to help people to understand that their lifestyle goes beyond the church walls. They want people not just to have a relationship with God at church, but outside of church as well. The ministry also hosts community events and ministry conferences geared toward bringing families closer to God and healing broken people. As an evangelist and prophet, Shavonne Na’tey is passionate about seeing others walk in their callings. Music, for Shavonne, was a calling early in life. She was surrounded by a family full of musicians and singers. In addition to her uncle, Oliver Scott, a member of the Gap Band who wrote their megahit, “Yearning For Your Love”, Shavonne’s mother sang with Dorinda Clark Cole and Karen Clark Sheard as part of a live recording of the Church of God In Christ. Another family member, her uncle Willie Joe Scott, performed classical music overseas. At the age of 6, she joined her first group, The Cathedral Girls, in Oakland, CA. After moving from the Bay Area to Waco, Texas, she continued to sing, but crippling stage fright seemed to always threaten to hamper her ministry. But at the age of 15, she recalls standing in the front of her church, preparing to sing. “I remember asking my uncle – who was my pastor at the time – if I could host a revival,” she recalls. “At the revival, when I got up to sing, I literally felt the spirit of fear leave my body and ever since that time, I have sung with absolutely no fear,” she says. With the formation of Shavonne Na’tey Ministries, she seeks to inspire others with the love of Christ. She’s been a worship leader at several churches in the Waco area and sings, preaches and teaches the Word of God in Texas and around the country. For more information on Shavonne Na’tey on Facebook and Twitter. This entry was posted in Editorials, Gospel, Testimonials and tagged Our Journey Alive, Shavonne Na’tey, So Amazing by Kris Patrick. Bookmark the permalink.